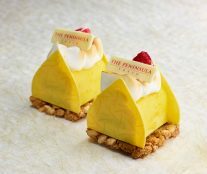 Born in the Eastern part of France near Luxembourg and Germany, Pascal Cialdella, Executive Pastry Chef of The Peninsula Tokyo was raised by Italian parents and at a young age showed an interest in baking and pastry, because “in that part of France”, he tells me, “cakes are very important, it’s part of the culture and tradition to eat cake on Sundays when all the family gets together for dinner “. At only 13, he got a summer job at the local pastry shop under the tutelage of Chef Jean Jun, finalist at the 1987 MOF Meilleurs Ouvriers de France Competition. “At the beginning, I was doing the cleaning and helping with some small production, after wo years ofhard work, Chef Jean Jung offered me an apprenticeship. I was working and studying at the same time so it was hard. I became like a son to the family, he would work by my side and I would get a slap if I did not do a good job in the pastry shop. 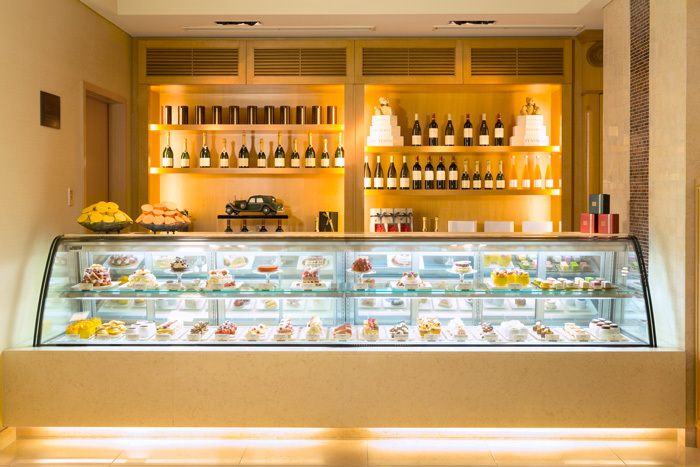 This was a very traditional shop, there were three generations of very good pastry chefs “. Being from a small city, Pascal was always curious to discover the world. 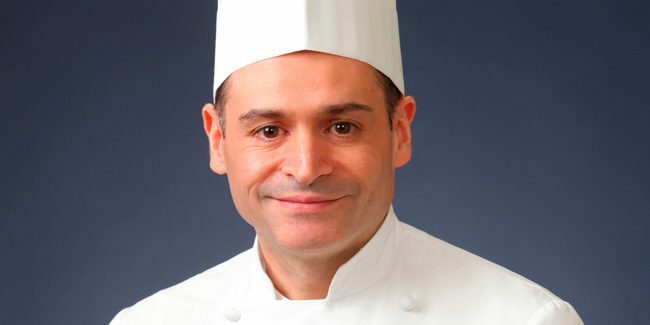 So he moved to Luxembourg to work at Michelin Star Restaurant L’Agath and perfect his skills by crafting traditional French cakes, pastries, and chocolates. 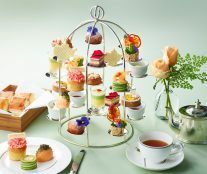 But it was in Dublin where he had his first great experience at the 5 star Berkeley Hotel where he had the chance to experience all the different areas of baking and pastry production, like banquets, different restaurants, room service, amenities, among others. 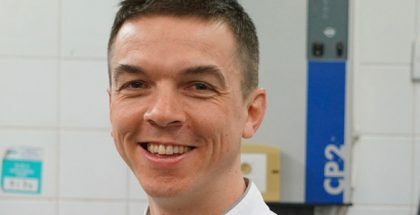 “This led to me having a better understanding of what it takes to become an Executive Pastry Chef at a big scale hotel.” Subsequently, he moved to England where he worked for 11 years, moving from place to place and working as head pastry chef in different hotels, Relais Chateaux, and completing a four-year stint teaching at Le Cordon Bleu in London. 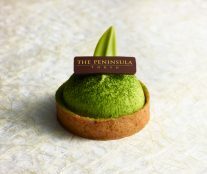 Since October 2017 he has been working as Executive Pastry Chef of The Peninsula Tokyo, “we have a team of 22 chefs in the pastry shop, managing a production kitchen for six outlets while supporting regional corporate events”. How did you end up working in Asia? I met my wife, who she is a Korean, and we wanted to change and relocated to Seoul in 2008 where I was overseeing the pastry and bakery team at Imperial Palace Hotel. It is a very nice hotel with many restaurant outlets. Korea was a cultural shock, people did not speak a lot of English, so I had to take Korean language classes. It’s a little bit overwhelming when you do not understand what people around you are saying. What about the work environment in the pastry shop? What is the most challenging things that you have had to overcome? You have to establish yourself by showing off your skills, showing your creativity. It is very important that you show that you care and respect for the people and their culture. It takes a while, but when they see that you are willing to teach, it’s not easy to adapt and have people open up to me. Why and how did you move from Korea? I joined The Grand Hyatt Incheon as Executive Pastry Chef, where I led a team of 34 chefs, overseeing four kitchens. 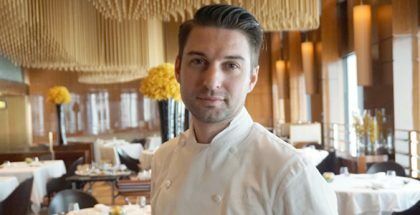 After a few years of working there, the Hyatt had other positions for Executive pastry chefs and there were two options: to relocate to Dubai or move to Tokyo. My answer was Tokyo. 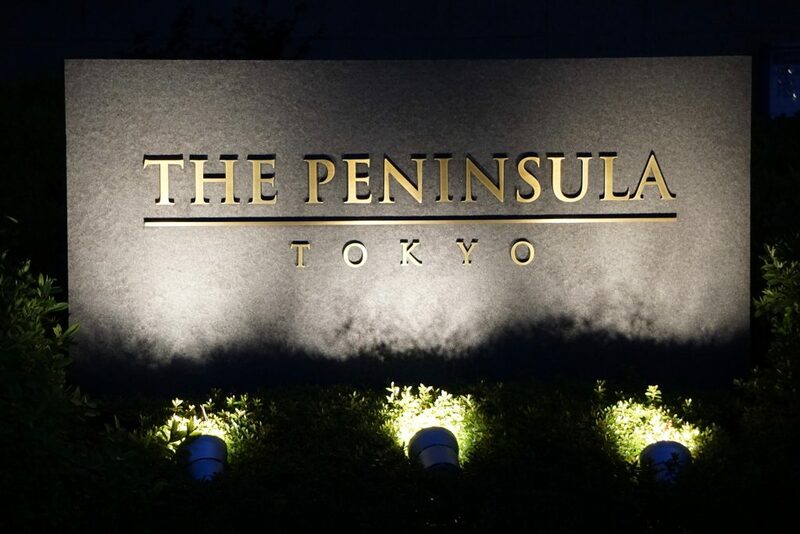 It was a dream to come here, Tokyo is like being in Paris.For a professional going to Tokyo is a big achievement so I started as the new Executive Pastry Chef at The Park Hyatt in Tokyo and after two years, I started at The Peninsula Tokyo. 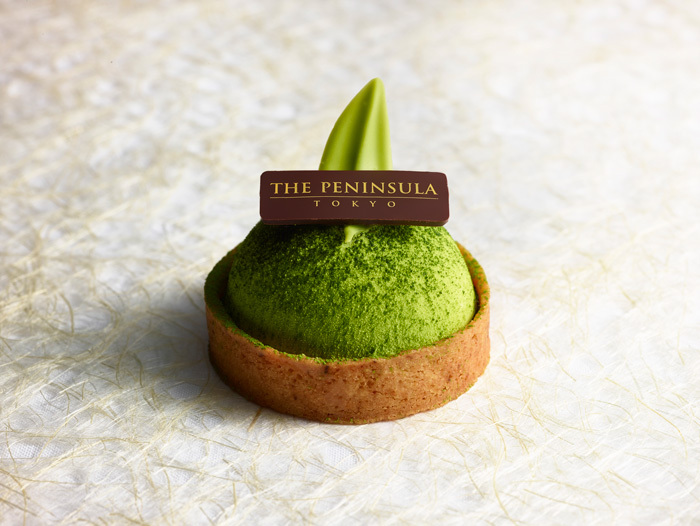 Tell us about the pastry life and trends in Tokyo. Being an Executive Pastry Chef in this city is fascinating! We can find any ingredient, produce is excellent, fruits and vegetables, it’s easy to work here. 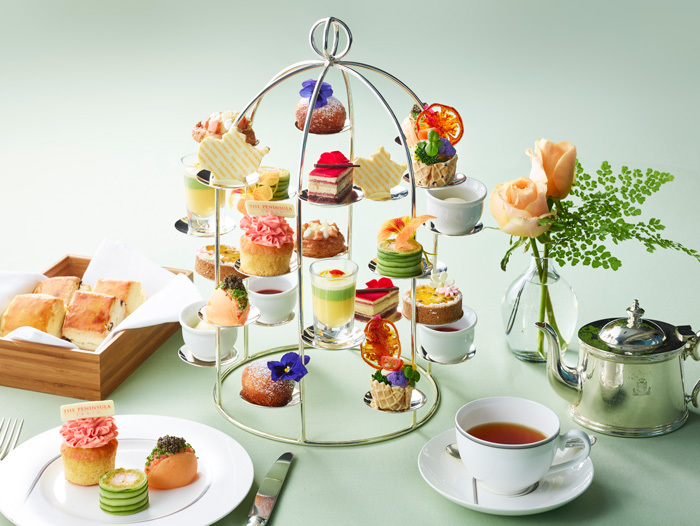 Japan has always been very French, but people in Japan love good food that taste amazing, with less sugar. People tend to eat healthier, it’s about seasons, people want to know how food is made, where it comes from. They love anything that comes from New York and Paris. 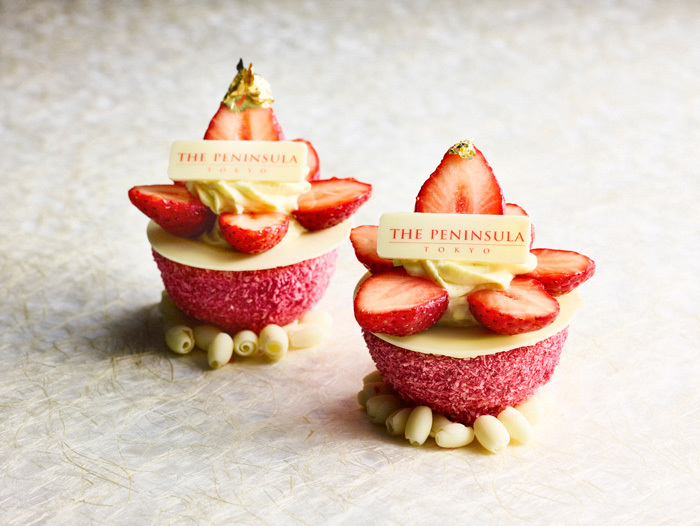 Where do you get your inspiration when it comes to creating desserts? Mainly it is seasonal. I really like to work with local seasonal flavors, inspiration comes with what’s around me. My pastries don’t look too complicated, but come with an element of surprise inside. With flavor, it is really important to have a good balance between sweet and sour. I mix my techniques, I travel to many countries and I try to bring different cultures, different techniques and products. Here in the hotel we are lucky because we can afford good ingredients. 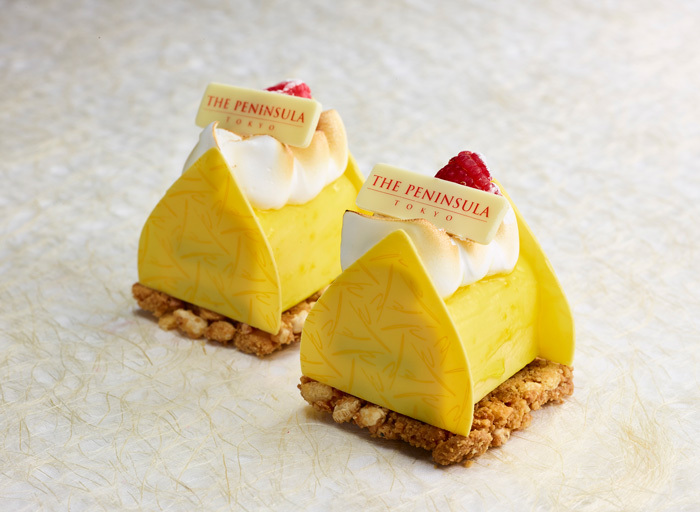 I start at about 8:00 am, I first check what’s going on for the day, I have a meeting with station leaders, making sure everything is running smoothly, I check on the pastry boutique and make sure everything looks and taste good. I go help in the production in the pastry shop wherever is needed and of course we have to do office work. 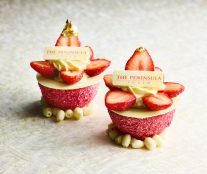 In the main pastry kitchen, we have the production for all the different outlets in the Hotel.